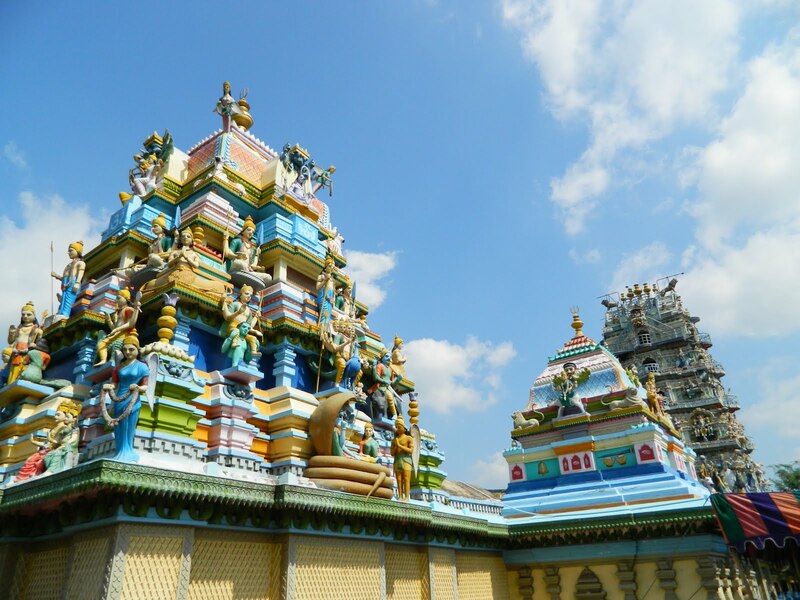 When you actually explore the pages of various ancient religious texts and scripts, you can find a mention of Sri Vasavi Kanyaka Parameshwari temple in most of them. 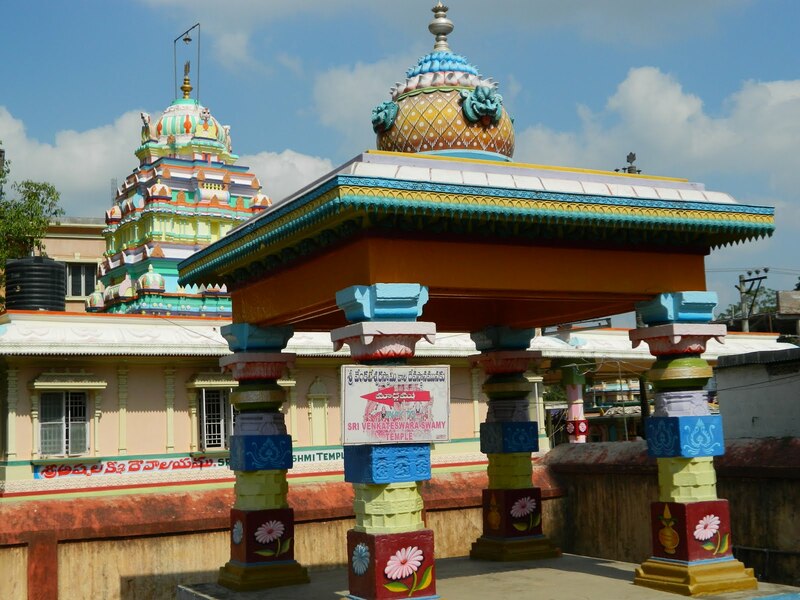 Sri Vasavi Kanyaka Parameshwari Temple in Penugonda is one of the most popular temples in West Godavari District. The temple is one of the marvels built in those times with tall gopuras, spacious courtyard, vast garbha griha, the grand mukhamandapas, the well-built prakaras and the gracious idols of the Gods adorning the walls of temples. The temple was built completely based on Vastu sastra (a kind of architectural system). 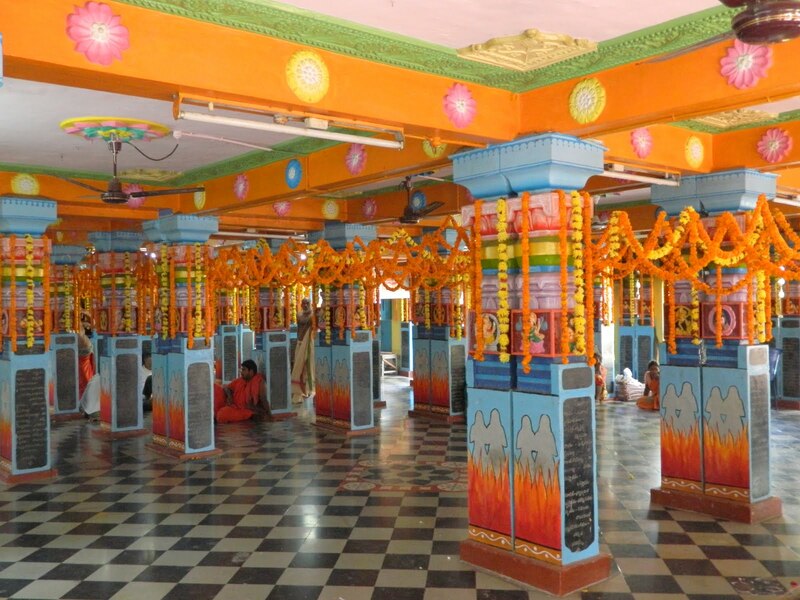 Inside the temple premises, you can also find other three shrines of Sri Nagareswara Swami, Mother Kanyaka Parameshwari and of Goddess Mahishasuramardini. 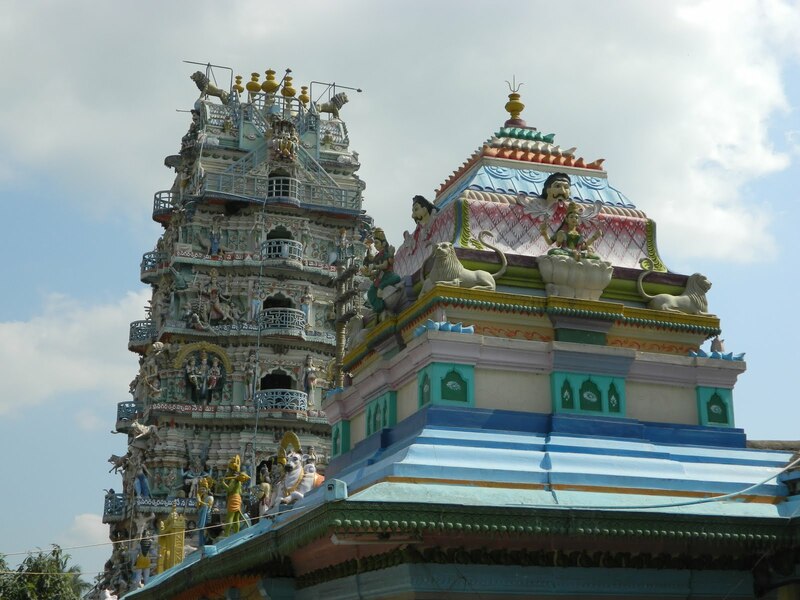 The temple is east facing and a huge Gopuram (tower) with a grandiose Mahadwara (main entrance) welcomes every visitor to the masterpiece of those times. The very sight of the gopura at the entrance of the temple leaves you astounding at its sculptural beauty that adorns it from top to bottom and on all sides. As you enter, you are into the first prakara that has a vast courtyard with several buildings- Office room, choultry and quarters for the staff. In the second prakara, you can see many small mandapas installed with deities like Vinayaka, Bali, Navagrahas (the nine celestial bodies). Besides this you can see extremely beautiful statue of Goddess Kanyakaparameshwari standing in the fire-pit with parents by her side. The origin of the temple has an interesting tale behind it. King Kusumashresti was the king under the rule of Emperor Vishnuvardhana. It is said that King Kusuma Shresti,the 16th king who succeeded Samadhimuni, was childless. He was advised to perform 'Putrakamesti Yagna' by his guru Bhaskaracharya. Pleased with the yagnam Goddess Parashakti appeared from the 'Homakundam' (sacred fire) and blessed the couple with twin fruit. Kusumamba consumed the fruit with devotion and on Vaishaka Shuddha Dashimi day, she gave birth to twins- a boy and a girl. The boy was named Virupaksha who was said to be an incarnation of God Nandikeswara and the girl Vasavi, was said to be an incarnation of Goddess 'Adiparashakti'. Virupaksha mastered in Dharmashastra, politics and martial arts. Vasavi, who grew up to be a teenage girl of exceptional beauty, was taught fine arts and music. From her childhood, she was an ardent devotee of Lord Shiva and decided to dedicate her life to Lord Shiva by remaining unmarried as 'Gowrabalika'. One day Vishnuvardhana visited Penugonda where he was welcomed with great reverence by the King Kusuma Shresti and the people of Penugonda. It was on this visit that Vishnuvardhana was fascinated by the astounding beauty and glamour of Vasavi and decided to marry her at any cost. As the king Kusuma Shresti knew about his daughter's decision, he was dumbstruck at this news. The King then called for a meeting where all the elders of 714 Gotra discussed the matter in detail. Under the guidance of Guru Bhaskaracharya, they all decided to give importance to the views of Vasavi. The king and the queen along with Guru Bhaskaracharya, Vasavi and Virupaksha had a secret meeting. Vasavi put-forth that she wanted to uphold the dignity and honour of womanhood and was born with a purpose to preach non-violence (Ahimsadharma) to the world. She exhibited her original form of Adiparashakti and vowed that she would remain a virgin. On hearing that Vasavi did not accept the marriage proposal, Vishnuvardhana decided to marry her even by waging a war on Penugonda. In order to prevent bloodshed and to uphold the dignity and honour of womanhood, Vasavi decided to end her Avatar by offering herself to the God of fire - Agni. Out of the 714 Gotrajas, 102 Gotrajas supported her view and decided to enter the sacred fire along with her. Fearing harassment from Vishnuvardhana, the remaining 612 Gotrajas left the kingdom of Penugonda to save their lives. Malhara, a great sculptor built 103 Homakundas for the sacred occasion. On Magha Suddha Bidige day, Vasavi along with the 102 Gotrajas, entered the Homakunda (Sacred Fire). 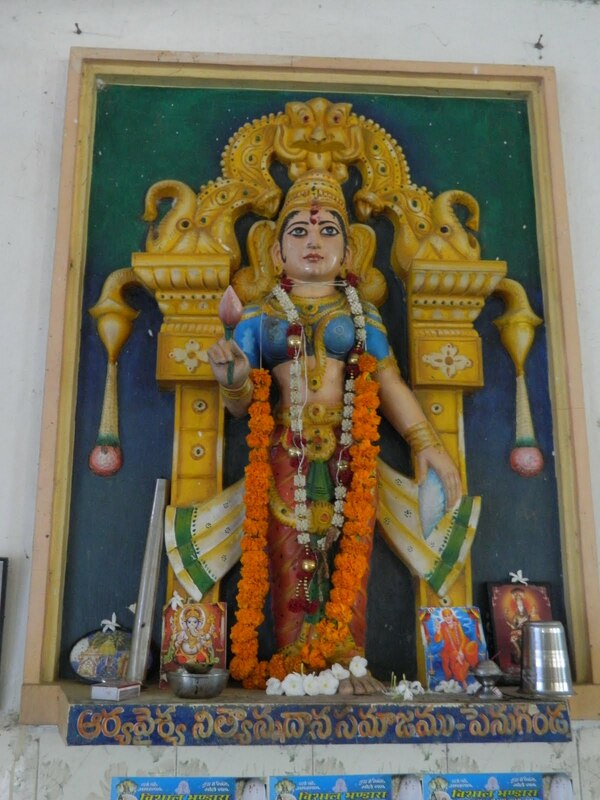 As a miracle, Vasavi emerged from the sacred fire as 'Kanyaka Parameshwari' and displayed her original form of 'Adiparashakthi' with eighteen hands - Asta Dasa Bhuja. This way she preached Universal and Social Religiousness, Spirituality, Love, Sacrifice and Non-Violence and laid the foundation for Global Unity through non-violence and dharma rakshana. Even till this date, this day is celebrated as 'Atmarpana Day' on a large scale across all 'Vasavi Temples'. The 102 Gotaraja' couples who entered the sacred fire along with Vasavi were pardoned of their curses of 16 generations and given Moksha by Vasavi. When this news reached Emperor Vishnuvardhana, who was on his way to Penugonda, he died out of grief. 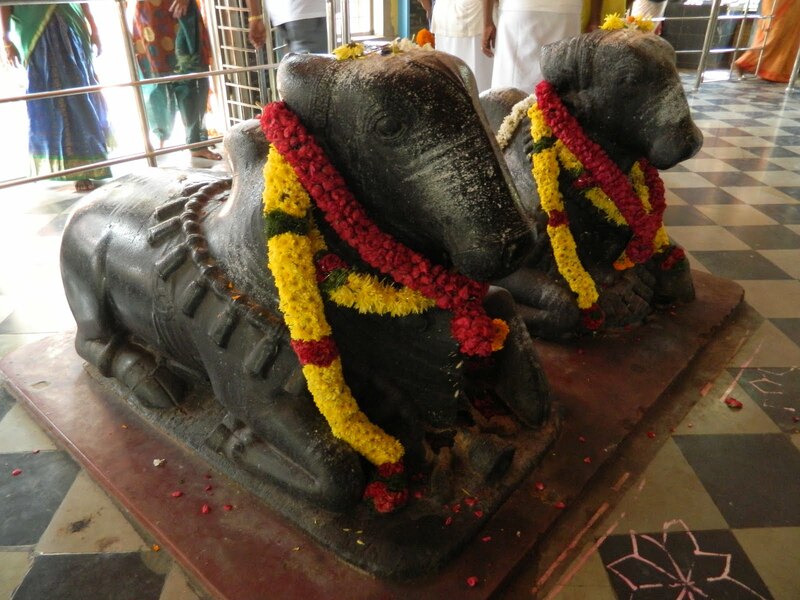 The sons of the 102 Gotra Couple who entered fire went to Kasi to perform last rites and brought 102 Shiva Lingas and installed them at prominent place in Penugonda Kingdom. Even today, this street is known as Lingala Veedhi. Later Virupaksha was crowned as the King of Penugonda by Raja Raja Narendra (son of Vishnuvardhana). The temple of Vasavi was also built shortly. Vasavi Jayanthi which falls in May, is the major festival celebrated amid much pomp and splendor. Vasavi Matha Athmarpana Day and Devi Navaratrulu are also celebrated with much religious importance. 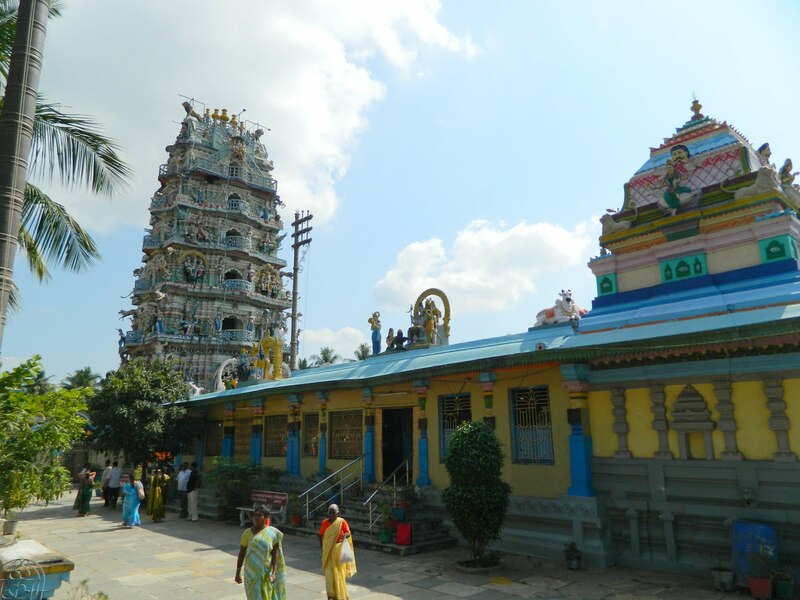 Sri Nageswara Swamy Temple situated nearby is another point of attraction. Tanuku Railway Station (15 km) and Rajahmundry Airport are the nearest railway station and airport respectively. 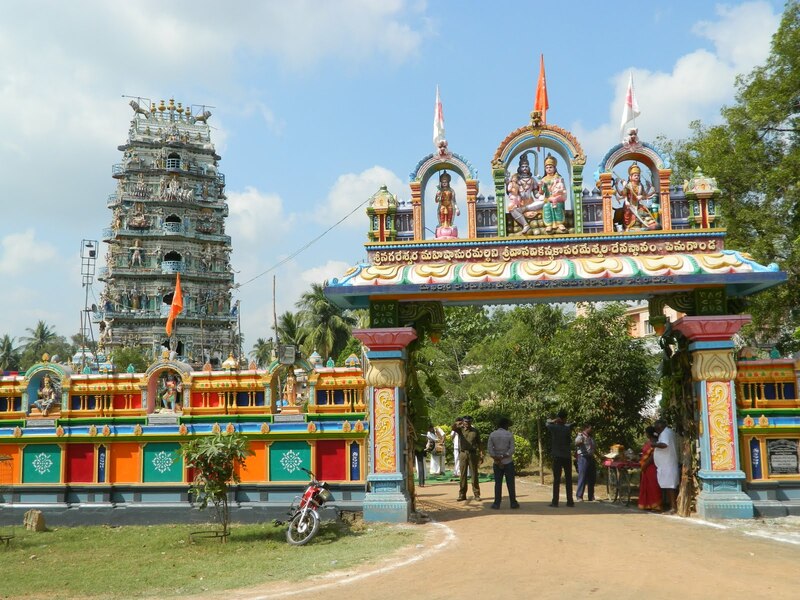 Sri Vasavi Kanyaka Parameshwari Temple is a highly revered shrine situated at Penugonda, about 15 km from Tanuku, in West Godavari District.